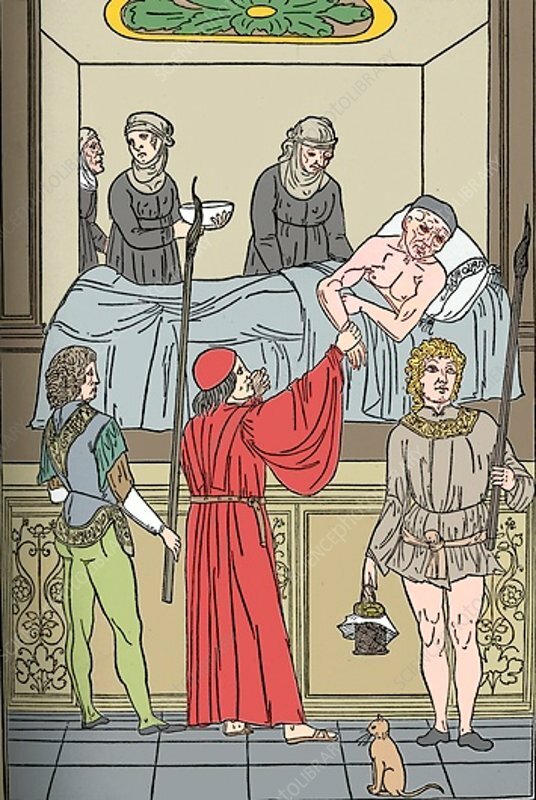 Ketham: Fasciculus Medicinae, Venice, 1493, The Treatment Of The Plague', c1943. Fasciculus Medicinae consists of six independent medieval medical treatises. The collection, which existed only in two manuscripts, was first printed in 1491 in Latin and came out in numerous editions over the next 25 years. From The Connoisseur Volume L. (The Connoisseur Ltd., London, 1918).